I apologies to all players of the Modern Millenaire server, I have currently stopped the server from running until we can locate the cause of this lag. 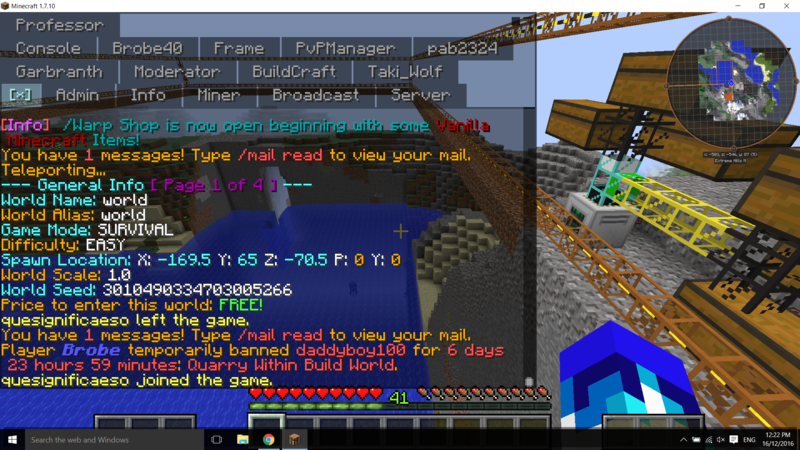 @daddyboy100 You were unbanned on Request but I have been alerted by a member of the community of a New Quarry within the Build World, this is a Second Violation to the server Rules and your 7 Day Temp Ban will be Re - Applied. Any continued violations after the returned ban will result in a Perminite Ban! You had said you would not do again, and I have collected proof of your violation of our Rules. I would like to have this Topic based on what each of you (The Server Community) would like to see in the server, based on (Builds, Mods, Etc) It would mean a great deal to help us grow the server and return it back to its former glory! Thank you for your application, we will be sure to keep you in mind. At these stages Teamspeak is not fully required so Discord is a nice way for contact. Could you please reply with your Discord name as well.